Remember the sound of the cartridge when you lifted it out of the case? The feel of the plastic in your hand? The light hum of the tape wheels as they turned? We said goodbye to music cassette tapes a long time ago. They reached the height of their popularity in the 1980s then society moved quickly on to something new and shiny: the compact disc. Despite rumours of a triumphant return, cassettes haven’t seen the same renaissance as vinyl has. That may be about to change, thanks to ELBOW. Still in prototype, ELBOW is a re-imagined way to listen to cassettes without the many mechanical parts of traditional cassette players. 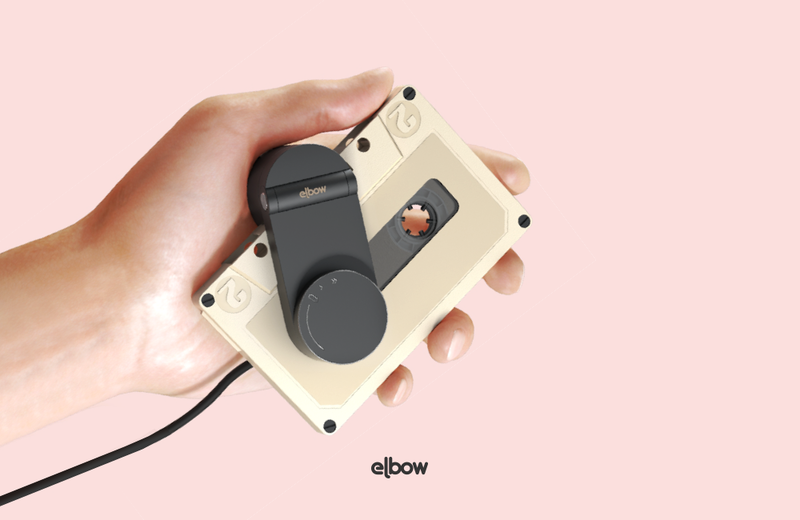 ELBOW has a bi-axial arm that swings apart, allowing a cassette tape to snap onto a wheel for playing. A single control wheel allows the listener to adjust the volume and rewind/fast-forward the tape. Listening happens through a standard headset and the device can be worn thanks to a small pin. Winner of two design awards, ELBOW is a masterpiece of modern design, a nod to cassette-tape culture, and a bid to attract a new generation of cassette tape lovers. Each copy of Jenga Ocean is fabricated from over 25 square feet of discarded netting, allowing gamers to hone their block-stacking strategies while doing good for ocean animals.